Chocolate is one of my weaknesses when it comes to healthy eating, I can give up burgers, fries and sweet without any problems but chocolate is a different story. I just love it! 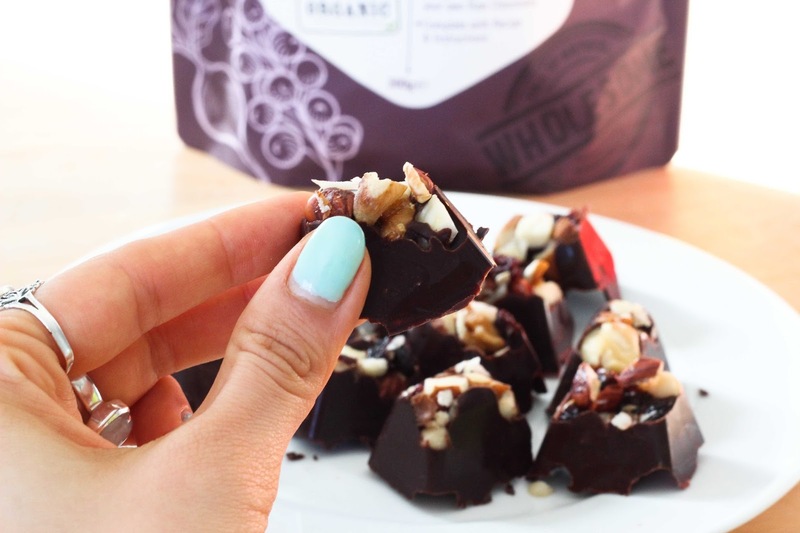 I'm currently trying to lose the holiday weight I gained whilst on our California road trip, but instead of giving chocolate up I decided to have a go at making my own healthy raw chocolate. I have to say that I never really thought that I could be eating delicious, delicious chocolates without having to feel guilty about it. I also didn't realize how quick and easy it was! I used the Indigo Herbs, Raw chocolate making kit* which contained all of the required ingredients. For the recipe I also bought a raisin and nut mix which contained Brazil nuts, Hazelnuts, Peanuts, Raisins and Walnuts. Heat a pan of water to around 45 degrees Celsius,s then remove from the heat and float a heat proof bowl in the water. 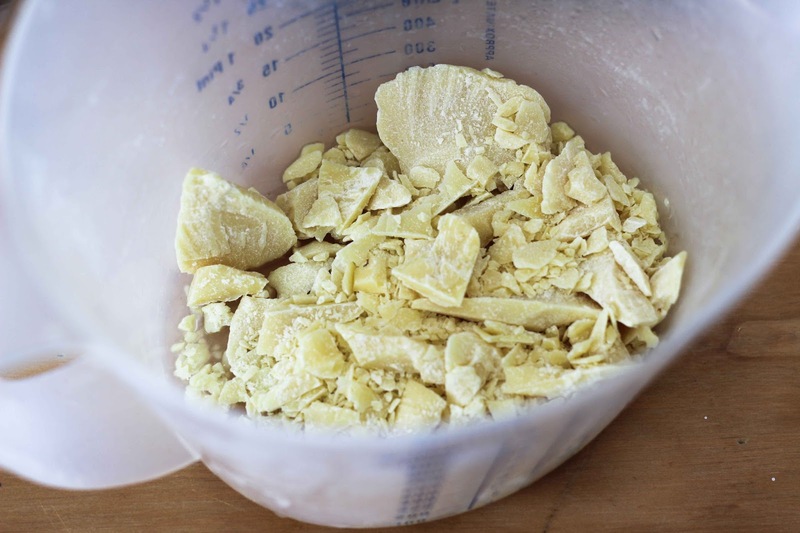 Gently melt all the Cacao Butter in the heat proof bowl (I just used a plastic measuring cup) until the last of the solids have just disappeared. Add the Vanilla Powder and stir into the melted Cacao Butter. Keep stirring until you can see the Vanilla is properly mixed in with the Cacao Butter. Add in all the Agave and mix until completely blended. Indigo herbs recommend around 100 stirrings. 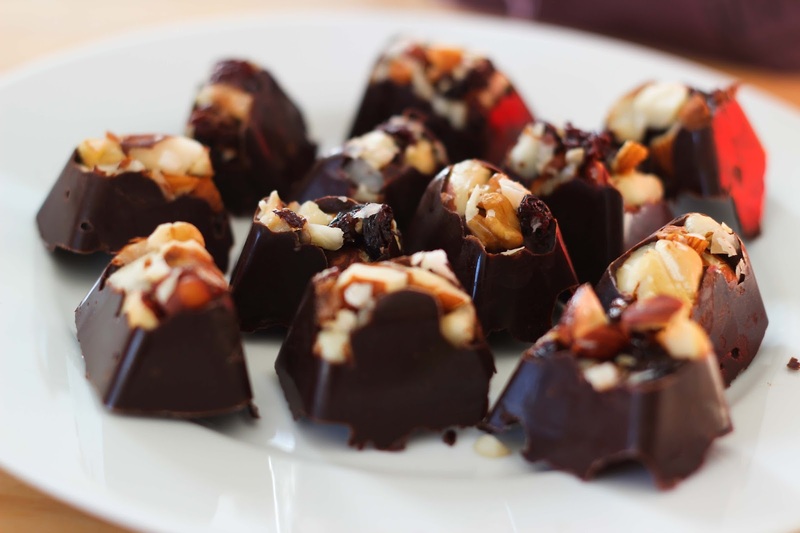 Chop the nuts and raisins and put some in each of the chocolate moulds. 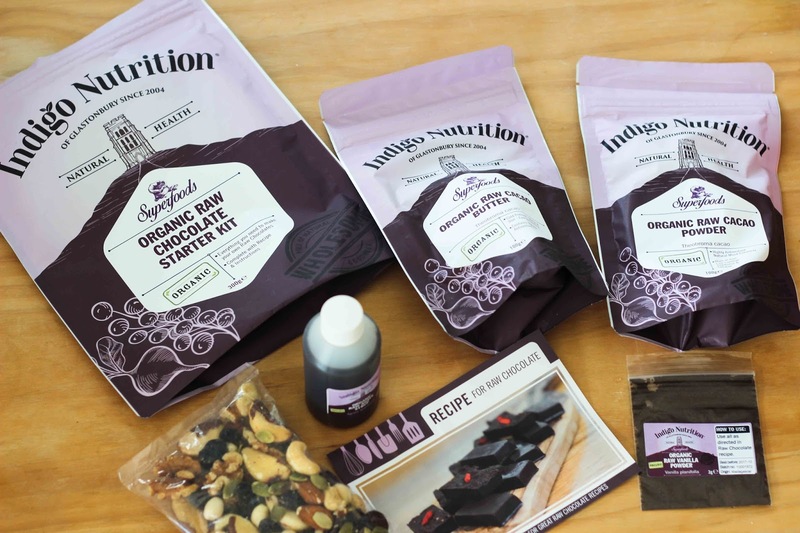 The ingredients in the Indigo Herbs Raw Chocolate making kit are all of really high quality and come in beautiful packaging. 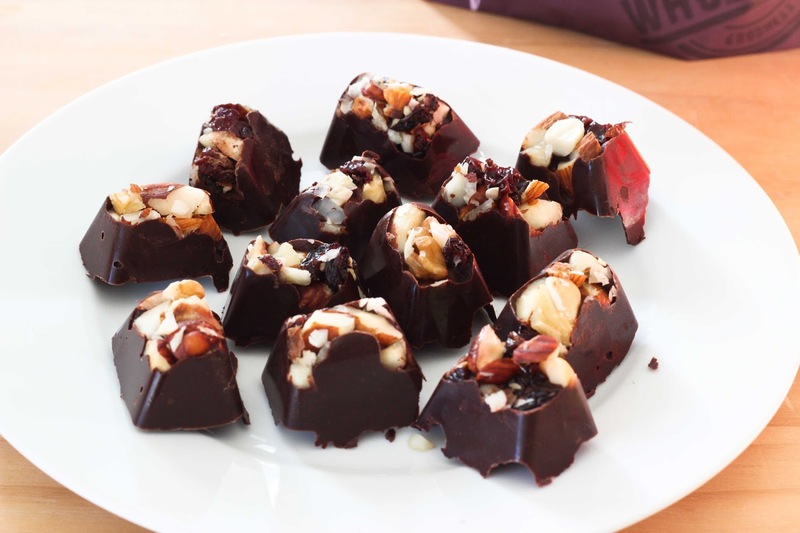 The end result is creamy chocolates that are full of flavour. What's even better is that because it's raw, it has quite a few health benefits too. It's a great source of magnesium which relaxes muscles and strengthens bones, as well as iron, calcium and protein. This has been my first time ever trying and making raw chocolate and I'll definitely be making it again!